Getting Money out of Elections? Wouldn't it be nice if a candidate was more worried about filling their "war chest" with ideas and solutions instead of cash? Since it was the day before the Illinois primary, I asked him to expand on a recent claim that campaign spending has a very limited effect on election outcomes. Research by his Freakonomics co-author, Steven Leavitt, found that doubling spending only increased a candidate’s share of the popular vote by 1%. Recent primaries have reinforced the uneasy relationship between spending and results. Dubner mentioned that candidates who garner more contributions tend to be those who are more active and involved with their campaigns. They’re often more charismatic. These factors contribute to their popularity at the polls, too, making it difficult to separate the effect of spending from other factors. My curiosity piqued, I asked Dubner whether they had looked at the effect of spending on municipal elections, where campaign “war chests” are often more like piggy banks. The Freakonomics team hasn’t done any research on this aspect, but Dubner speculated that a little bit of money may go farther on the local level, where name recognition is harder to come by. That makes sense. With national or state-level elections, the media is focused on a couple of big races. At the local level, the media’s attentions are splintered among all the races, especially in a major media market like Chicago. 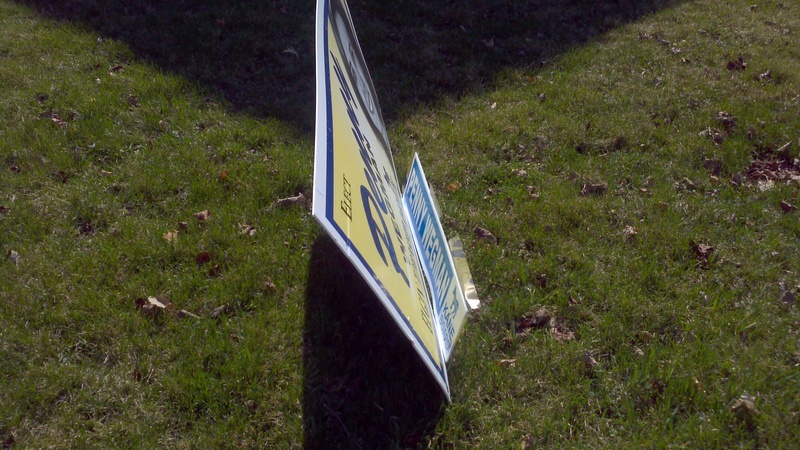 A year ago, campaign signs were in full bloom ahead of the local city council seats and mayoral election, which got me thinking about the role of signs in elections. Last week, a Facebook comment about the lack of “re-elect” signs re-ignited the thought. In municipal elections, candidates often face very tight budgets. Unlike at the national level (or state level, particularly in Illinois, it seems), local politicians aren’t in it for a career. Many do it on the side because they want to make a difference. (Call me Pollyanna if you must.) Hence, they can’t afford to sink huge sums of their own money into a race, nor do they have the time or resources to do a lot of fundraising. Look closely - the candidate taped the new desired office over the previous sign. On a windy day, the taped piece was flapping around. So what exactly is the role of money in local campaigns? I think we’d be better off if we could get money out of elections. When I asked Dubner, he said the candidate who attempted to not fundraise – especially at the federal level – would have a hard time finding a staff willing to gamble on such a campaign. He’s probably right, but I would love to see campaigns focus on issues without worrying about fundraising and glad-handing. Wouldn’t you? Government budgets – at all levels – are tighter than any time in recent memory. 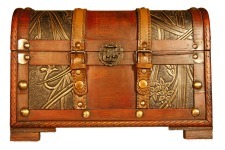 Shouldn’t campaign budgets reflect disciplined, careful, strategic spending? I would be curious to analyze the relationship between those who fundraise more and those more willing to raise taxes. In both cases, the politician is spending someone else’s money – which they tend to treat very differently than their own. 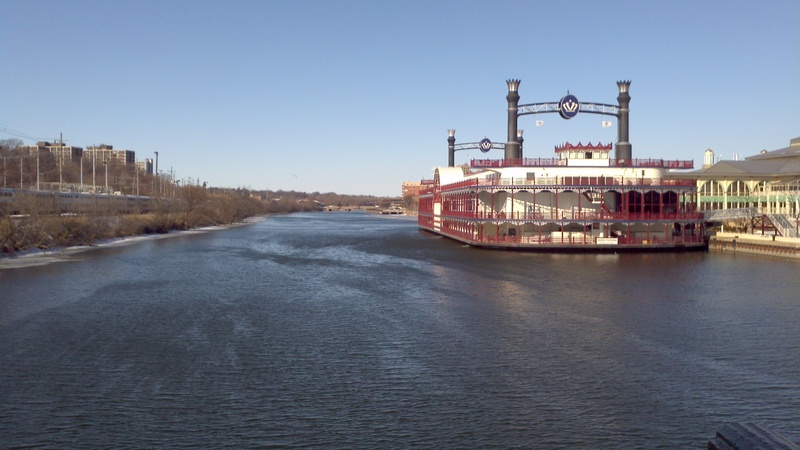 Elgin’s Grand Victoria Casino sits just south of downtown, several thousand tons of ostensibly “floating” entertainment. Elgin’s Hemmens Cultural Center, home to the fantastic Elgin Symphony Orchestra, is less than a mile away, in the heart of downtown. Both attract steady audiences to Elgin, though the casino’s numbers are down significantly in the past couple of years. In theory, both venues should drive crowds to the growing restaurant and bar population that’s trying to take hold in downtown. But in reality, that doesn’t really happen, particularly with casino patrons who have their pick of dining options within the casino’s confines. Last week, the City Council decided to pursue a study that will evaluate the feasibility of an entertainment venue that could serve both purposes: hosting the ESO and growing arts community while also serving the Grand Victoria’s need to compete with the new Rivers Casino in Des Plaines. (Thankfully, we’re not paying for this $45,000 with tax dollars. The Grand Victoria’s parent company, HGMI Gaming, will foot the bill.) While a location hasn’t really been determined, some have floated Festival Park, given its location between the casino and downtown, as a logical space. Mike Danahey’s wonderfully comprehensive Courier News piece covers the biggest issues: Festival Park is the only green space in downtown; the need to be good neighbors to the townhome residents who have struggled with noisy downtown venues (namely the Main Event), and the odd pairing of gambling and arts. This is the part that really piqued my interest. Elgin talks a lot about becoming a destination for the arts. The ESO has been an institution since 1950, and we have plenty of smaller groups like Elgin Opera, Janus Theatre, Elgin Theatre Company, Elgin Art Showcase, and others I’m surely forgetting. ArtSpace is becoming a (taxpayer-funded) reality that will bring 55 artists to downtown. SpaceTaste Gallery has periodic shows and really unique things to see. In that sense, the Hemmens has outlived its useful purpose. Built in 1969, it has only 1200 seats, strangely configured. The acoustics aren’t worthy of the ESO – I was blown away when I went to a recent ESO concert at the Prairie Center in Schaumburg. A new facility is overdue, and would offer more flexibility to serve the growing variety of arts needs. But I still struggle with how one venue can successfully meet the needs of such disparate groups. As Danahey points out, facilities hosting symphony concerts are inherently structurally different than those hosting casino shows that feature rock and pop acts. A single facility might serve the traditional arts (symphony, opera, stage productions), but would not have the bones needed for a more contemporary act, and vice versa. Facilities aside, lets consider their respective audiences. Do gamblers like opera? Do we care if they do? I don’t see a lot of mingling of audiences. Would most casino goers consider attending an ESO performance? I think we need to be realistic that such a venue would have to serve two distinct audiences. While that’s not impossible, it takes very careful planning. Understand who your audiences are. Research their respective needs. Admit that there won’t be much overlap. Work with local complementary businesses to cross-promote where it makes sense. While casino patrons may not attend gallery openings, ESO-goers may be interested. I haven’t see that kind of connection to date, and it’s a relatively easy win. I do think that a facility bridging the tundra between the casino and downtown may help downtown businesses. I love the openness of Festival Park (see my header picture at the top of this blog), but standing at the casino, looking towards downtown, the empty expanse seems endless. And if you do venture north into downtown, the first block of Grove is a ghost town, with far too many vacant storefronts. The new Prairie Rock Grill will anchor this corner, and hopefully bring in traffic that will help encourage other businesses. Essentially, to flourish, downtown must be full of unique, innovative businesses – unlike what people access on Randall Road – that can draw people as a destination. Meanwhile, we must also build the daytime downtown population to support these businesses. And at this point, we’re not talking about specific brand names. What can fill these storefronts? With that in mind, we ranked the 47 categories individually, then tallied our rankings and began discussing our top 10 for each group. All the groups had different lists, but the aggregate showed some commonalities. As we did in the session, let’s look at each for a) existing, complementary businesses; and b) target customers. 1) Ethnic restaurants: A good variety of ethnic restaurants would fit in well with our growing entertainment district. Positioned among the various bars and other restaurants on and near Chicago Street, restaurants can benefit from proximity to entertainment options at the Hemmens, the Elgin Art Showcase, and the casino – if only they can get the word out. Such restaurants could attract foodies and 20-40 year olds with disposable income. What type of restaurant would you want to see? One of my group mates was advocating hard for an Indian place, but I’d also love to see tapas or a good Middle Eastern place to join our existing Villa Verone, Toom Toom Thai and Bangkok House. 2) Pet Store/Supplies/Grooming: This didn’t even make my group’s top 10, but several of the other groups talked about the dearth of such a place in Elgin, especially since the small, “scary” place on McLean closed. And they’re right. If you need anything beyond the basics, you do have to leave town for pet food. This would attract families and other pet-owners. Given talk of pet licenses in Elgin, we could probably determine how many dogs (at least) are in Elgin. 3) Convenience Store: Many mentioned the lack of any true convenience stores in downtown, other than those attached to gas stations, which are kind of shady. And they’re right. There really aren’t places to pop in for a very quick drink or snack, or a gallon of milk. A nicer convenience store could fill this gap, and attract professionals downtown during the day (City Manager Sean Stegall specifically requested a place that carries Hostess Cherry Pies), and residents in the evenings/weekends. Butera’s ok, but it’s hard to access on foot – there’s no real pedestrian access, other than playing Frogger through the parking lot – and they close relatively early. 4) Gift Shop: My group discussed merging a couple of the categories together, including Gift Shop, Card Shop and Stationery Store. I envision something like the Paper Merchant in Geneva, attracting women from teens through their 30s, and perhaps beyond. Positioned near good coffee and Elgin Books, this could create easy browsing and lingering. 5) Electronics: This was barely a blip on my group’s radar, but other groups talked about bringing some kind of Radio Shack-type store to downtown that could supply the electronic odds and ends working professionals need: batteries, cables, maybe print cartridges? 6) Musical Instruments: This would tie in well to ArtSpace, coming next year. Also, it would help attract the teens and artists DNA desires, as they will spend on things like dining and entertainment. 7) Full Service Restaurant: See also, ethnic restaurants (above), but with a focus more on families and after-work professionals. This could be a steakhouse or similar to the existing (and fabulous) Elgin Public House. 8 ) Call Center: A call center would bring more people downtown, increasing the daytime population that helps support all the other businesses. 9) Card Shop: See Gift Shop above. What would help draw people to downtown Elgin? Thanks for all the great suggestions so far – keep them coming! In the next few days, I’ll have more thoughts about the direction of downtown, including some marketing shifts. In the meantime, add your thoughts below. I have my own thoughts about this, but I’m curious what others think. Consider attending the session next Wednesday – and leave your thoughts below. What business or type of business would you like to see? What could attract people to downtown? 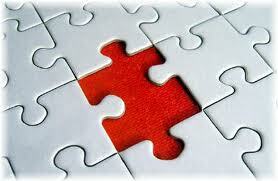 What “fits” with the existing businesses? This is part of my informal “Reverb11: Elgin Edition” series. 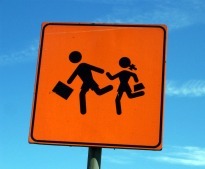 Check out yesterday’s post on Elgin’s Walkability and leave your comments there, too. 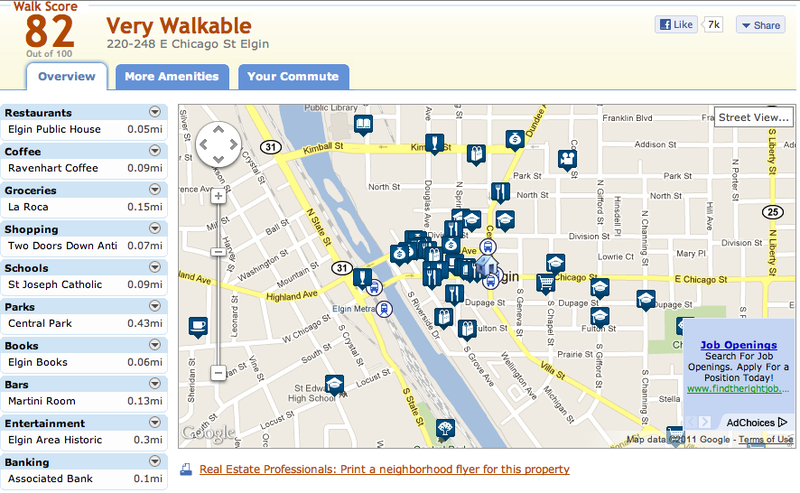 How Walkable is Your Elgin? This past Saturday included the Winter Market and all the other Window Wonderland activities – reindeer, roasting chestnuts, holiday shopping, and more. Last year, it snowed during the festival, making it even more magical. This year, after a rainy morning (perfect for finishing my final exam of the quarter), the clouds parted, and the sun came out. So I walked to downtown, as I often do on Saturdays. I perused the Market, admired the decorated storefronts, returned some library books, got some coffee, and generally enjoyed the day before returning home about 4. Of course, as soon as I got home. I realized that I had forgotten about the tree-lighting, scheduled for 5 PM. I’m a sucker for Christmas lights, so I headed downtown again, on foot. Sunday morning, a friend and I had brunch plans at the Elgin Public House, and we walked. The brisk air felt good, given how miserable early December can be. While at brunch, we talked about the walkability of Elgin. I was drawn to my neighborhood by its proximity to nearly everything I need: Metra, a grocery store, library, coffee, etc. It’s a blessing not to need to dig out my sloped driveway immediately after snow hits. And while Downtown Elgin has come a long way in the five years I’ve lived here, there are still barriers to walking. In northern Illinois, the weather can be a big drawback, of course. I wimp out when the mercury drops below 20, or when there’s too much ice for my YakTrax to safely overcome. The city does a great job clearing their part of the National Street hill, but one of the business owners doesn’t, meaning it becomes a dangerously sloped ice rink. Plus, there are certain safety issues late at night, especially walking through some poorly lit areas. I could never give up my car entirely, but 7 years without a car in Chicago trained me to shop small and walk whenever possible, habits I’m glad I’ve kept. 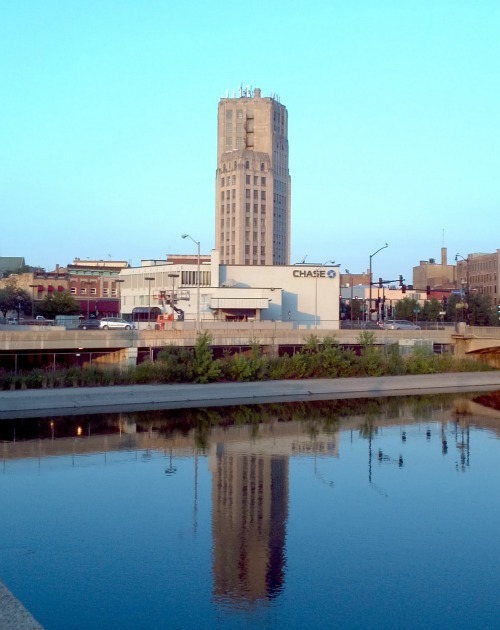 Downtown Elgin’s WalkScore is about 82, or “very walkable.” The site calculates a score based on proximity to transit, schools, parks and several categories of businesses, including banks, restaurants, bars, coffee shops, groceries and entertainment. The database seems to have holes in it – it’s missing Butera, the Speakeasy, and others – but it’s interesting, nonetheless. Walkability, from the center of downtown. By contrast, New York is the “most walkable” big American city, with a score of 85. Chicago has a 73. Naperville a 74, Schaumburg 54. In each case, I input just the city name, and it calculated a score for the city center. In Elgin’s case, it appears to use the YWCA on East Chicago Street as the center point. You’ll get a different score if you put in a more specific address. My house has a score of 60. What do you think? Is your part of Elgin walkable? What would make it more walkable? What keeps you from walking? What would encourage you? Last year, I participated in Reverb10, a web-wide blogging activity in which daily prompts urged you to look back at the year nearly done. I enjoyed it, though towards the end I felt like I was repeating myself. I had pretty much decided that I wouldn’t commit to it this year, though I’d keep an eye on the prompts and respond to the ones that intrigued me. Yesterday, I got an email from Gwen Bell, who created Reverb10 with Kaileen Elise and Cali Harris. They’ve decided not to host Reverb this year, for reasons I understand, but which make me a bit wistful. The trio encouraged people to start their own version of Reverb11 (or whatever) and share the love. 1) Read last year’s prompts and re-write them, or at least for the ones that have something worth writing about. Any thoughts? If I launch the Elgin-focused option, does anyone have ideas for prompts? I finish the academic quarter next Tuesday, at which point I can exhale and take advantage of some cognitive surplus for a few weeks. Regardless, I’m starting to mull over last year’s Dec 1 prompt: Encapsulate the year 2010 in one word. Explain why you’re choosing that word. 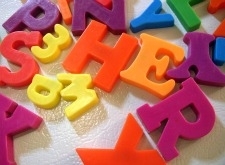 Now, imagine it’s one year from today, what would you like the word to be that captures 2011 for you? Here’s what I said last year. Before Finals began consuming my every waking, non-work thought, I read the thoroughly fantastic account of the near-death of Philadelphia, Buzz Bissinger’s A Prayer for the City. Now, just as Elgin isn’t Detroit, nor are we Philadelphia. America’s truly big cities – and Philadelphia was once the third-largest – have always faced far greater challenges. But some parts of the passage certainly rang true. Our city is safer than every city of similar size in Illinois, save Naperville, and yet the old perceptions of crime still loom heavily in many people’s minds. The schools problem rings very true, too. As our local U46 begins its new school year, many continue to send their children to private and parochial schools because they don’t trust the local district. In Philadelphia, during Rendell’s tenure, the Mayor appointed the school board, and thus had oodles more direct accountability. That isn’t the case in Elgin, where our school board is elected, but the “hidden tax” certainly is. In response to my last post about bringing technology education and training to town, I had Facebook posts that mentioned the vital importance of primary education. People don’t quibble as much when high school taxes go to a district that performs very well. But when their taxes are high and they don’t think the schools are good enough for their children, they either pay the hidden tax of private schools, or move. More thoughts on this after Finals are over and I can breathe again, but I wanted to start the ball rolling while it was fresh in mind. I don’t have kids, so my experience with the schools is purely perception, but that’s part of the problem. Even if the schools are fine, they are perceived as quite the opposite. We must work together to fix our schools (and, just as importantly, their perception) before we lose more good residents and before more decide against moving to Elgin in the first place. In an era of terrible funding challenges, this is a gigantically tall order, but not impossible. Suggestions on how we start? I highly, highly recommend the book. Bissinger weaves together several stories of average citizens and their struggles, from a welder in the doomed shipyard, a city employee, a prosecutor and a woman raising her great-grandchildren, while incorporating the years he spend with Rendell and his chief of staff. Plus, he’s a fantastic writer and storyteller. In that post, I talked about how non-negotiably vital it is that we diversify our Elgin economy while also prioritizing education at all levels. Yesterday, I saw a post from Laurie Faith Gibson-Aiello of the Gibson Group that discussed how important an educated workforce is – and how the Elgin Technology Center is trying to bring these skills to town. 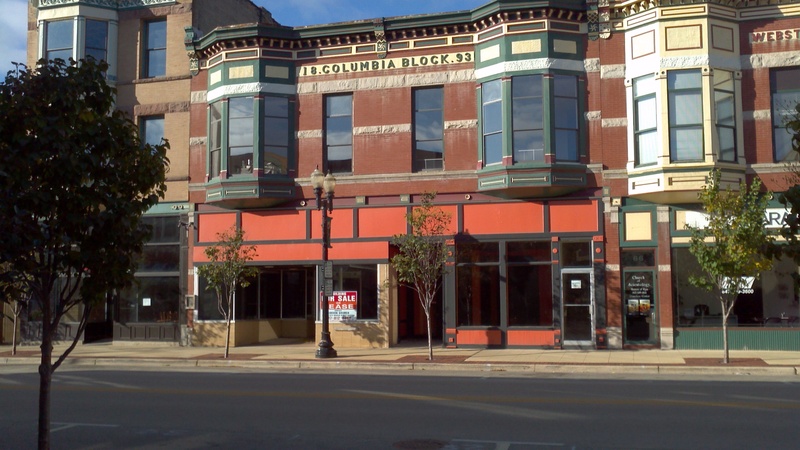 ETC has applied for a Motorola Mobility Foundation grant that would enable them to build a tech training facility right in the heart of downtown Elgin, educating the 150+ members of ETC while also serving to mentor new entrepreneurs. This is exactly the kind of energy we need in Elgin. Through coordinated efforts, we can bring in new businesses that can leverage some of our great attributes, like our location and easy connections to other cities. Good luck to the ETC in their efforts! And maybe in the fall, we can apply for an IBM Smarter Cities grant, too. Saturday, I took a (very long) detour on the way home from studying/coffee and walked through downtown Elgin’s Art & Soul on the Fox festival. It was fantastic! I had passed through the festival last year while out for a run, but hadn’t really stopped. Booths lined Grove and Spring Streets, and DuPage Court held a stage and a variety of food and drink options. I bought a few pairs of earrings and almost bought a ring, before I remembered the pretty inlaid mother-of-pearl ring I bought in Istanbul on a similarly humid day that I’ve never been able to actually wear. While wandering, I ran into several friends and neighbors that I stopped to chat with, and I waved hello to several others. Live music wafted through the streets. Finally, I grabbed fresh squeezed lemonade for the walk home through brilliant sunshine. It was hot and sticky, and I got home two hours later than planned, but it was a great summer Saturday. I’ll definitely go back next year.